I’m a little limited with space for this article so my apologies. I will direct you to some online tutorials. You need to have a basic knowledge of how to compile and render images in Blender and After Effects. First, you need to create your robot. Please watch this YouTube video for the instructions. Once you’ve created your robot, you need to move into the animation. Please visit this YouTube tutorial to see how to add bones and animate your character. 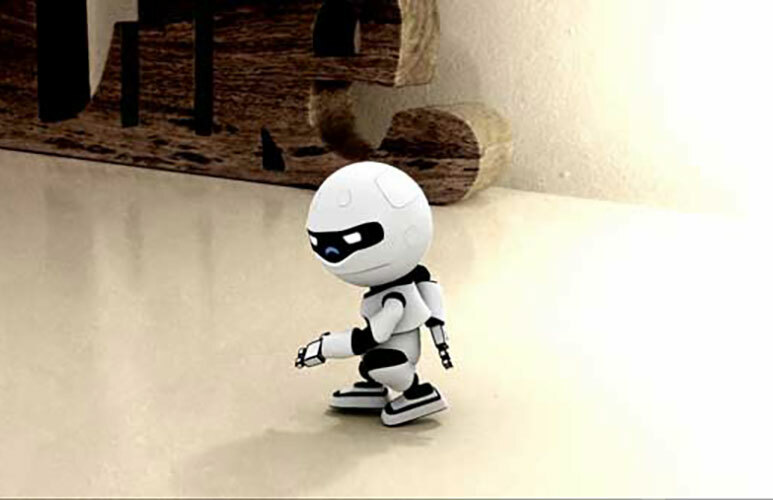 Next step, save your robot animation in different positions on a timeline. If you not sure how to do this, please go to google or YouTube and search for ” How to animate objects in Blender”. To help you get started, you can visit Blender Guru blog for some good tutorial and bespoke animations. After creating your first blender animation, you need to render it with a new background. Best is to use a background from the video you recorded. Please save one frame as a static image and paste into Blender (behind your robot). You can learn how to do this by watching this Blender video tutorial. Although this was on a non-animated object the actual process is exactly the same. Next step is to render the entire compilation. After the rendering, please go to After Effects or Fusion8 and compile all rendering images and videos you recorded. To find out how to compile the video in both programs you need to visit YouTube and search for tutorials. Please try this video for After Effects tutorial. My apologies, if this is not an exact explanation, but I hope it will give you a good idea where to start and what to use. I am purely talking from my experience. My final result is this Dancing Robot. When I watch this now it looks a bit… old. But for the tutorial – perfect.